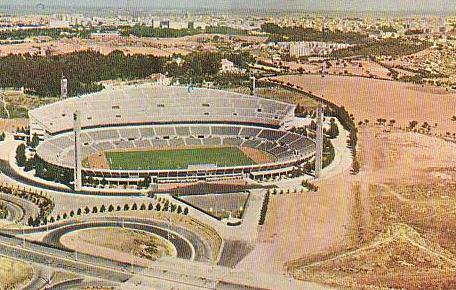 Estádio da Luz was SL Benfica’s home for almost 50 years before it got replaced in 2004 by a new stadium with the same name. 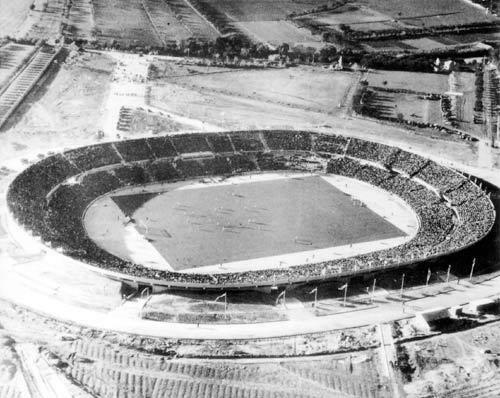 Construction of the stadium, then also known as the Estádio de Carnide, started in July 1953 and was completed by the end of 1954. The stadium officially opened on the 1st of December of that year with a match between Benfica and Porto (1-3). Initially the stadium had a capacity of about 50,000, but this was increased to 80,000 in 1960 with the construction of a third tier. The third tier was first only built over one long end, but was extended over the whole stadium in 1985. 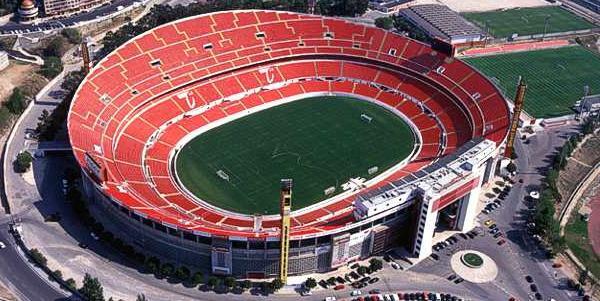 This brought the capacity to over 120,000, making the Estádio da Luz the largest stadium in Europe at that time. 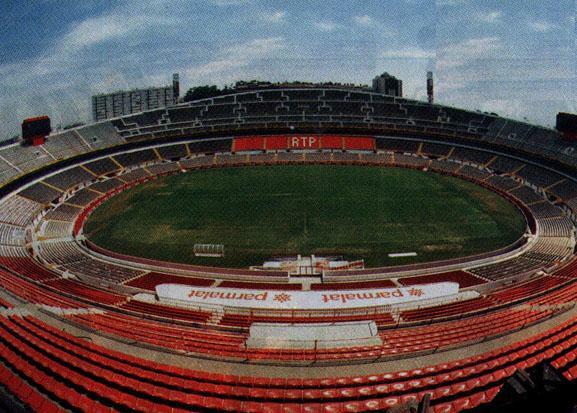 In 1992 the Estádio da Luz hosted its only ever European cup final, which was a Cup Winners’ Cup final between Werder Bremen and AS Monaco (2-0). 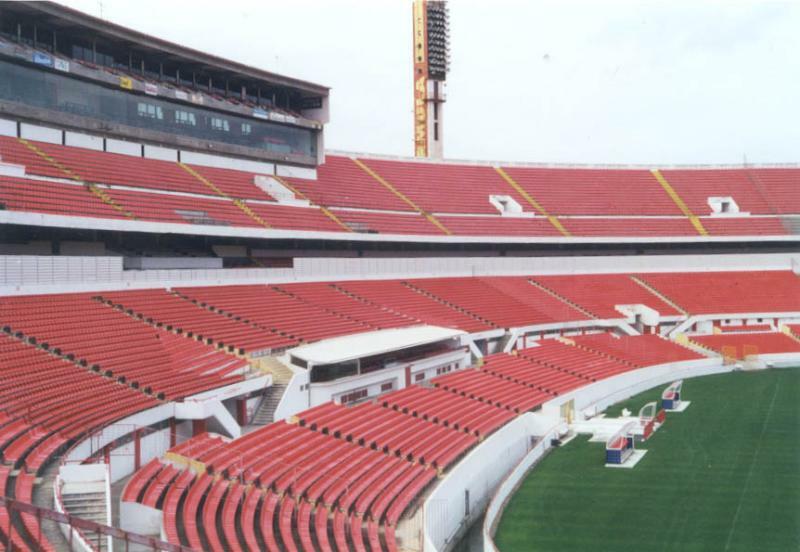 The stadium got converted into an all-seater in 1998, bringing the capacity down to 78,000 seats. 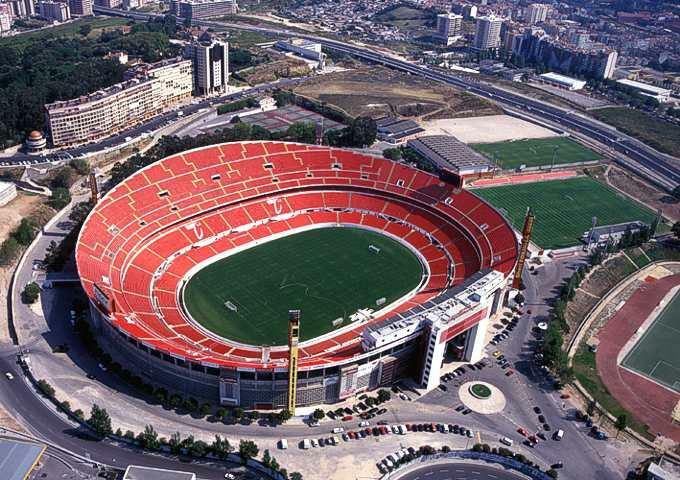 After Portugal got awarded the Euro 2004 championships in 1999 the need arose for a more modern stadium. Initial proposals for the renovation of the stadium were rejected and instead was chosen to build a new stadium, which meant demolishing the old one. On the 22nd of March 2003 Benfica played its last match at the partly demolished stadium, a league match against Santa Clara. After completing the season in Estádio Nacional, the club then moved into their new Estádio da Luz in the fall of 2003.